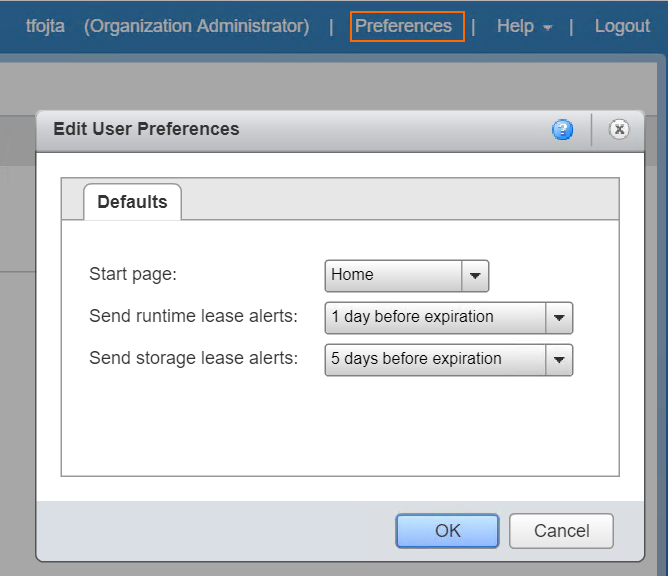 In vCloud Director it is possible to configure vApp leases. The maximums are set by system admin at Organization level (in Policies), which can be lowered by Org Admin (at org level) and set by vApp owner at the vApp level. A vApp has runtime lease (for how long it will be in running state) and storage lease (for how long it will consume storage once it is not running). 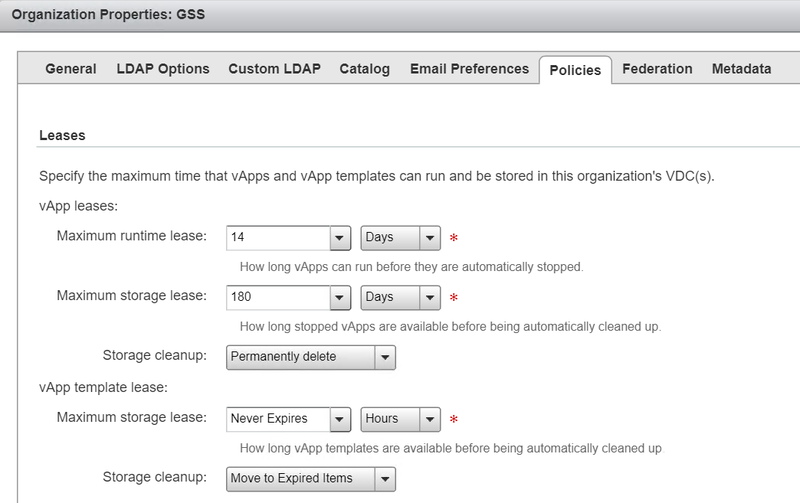 vApp leases are very useful in test & dev or lab environments to make sure abandoned, unused VMs are not running and taking resources. When vApp lease is coming to an end, its owner gets a reminder via email (how many days before expiration can be configured in User Preferences) and can optionally reset vApp lease to avoid its stopping or deletion. By default expired running vApp is put into suspended state which means its memory content is saved to datastores. This ensures fully consistent state upon consequent power on of the vApp. This however might not be always needed especially in dev/lab situations – the memory content could take lots of storage space and for example saving 16 GB RAM VM to datastore could also create IO performance impact. 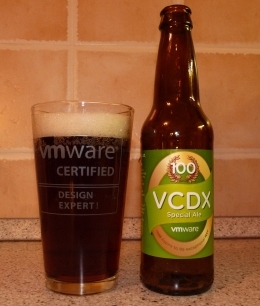 As of vCloud Director 8.20 the Organization Administrator can instead change the default runtime expiry action to power off. The setting is done at Org level and must be done via API by setting the element <PowerOffOnRuntimeLeaseExpiration> of OrgLeaseSettingsType to true. The API version must be at least 25.0. When the vApp expiry action is set to power off, the actual VM stop action power off (hard) vs shutdown (gracefull) procedure depends on the vApp’s config for each VM (tab Starting and Stopping VMs). Also note that subsequent edit of Org policies in UI will reset the Org PowerOffOnRuntimeLeaseExpiration setting back to default (false).